“Spaces that haven’t designed a unique visual identity, specialized communities, will risk getting lost in the noise”. Kelsea Crawford is the CEO and cofounder of Cutwork, an architecture and design studio focused on designing new ways to live and work. 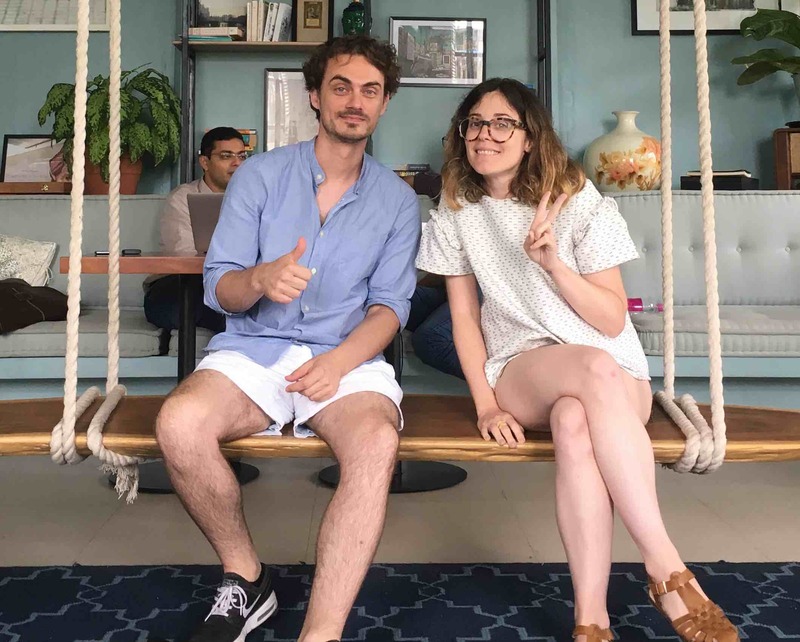 Based between Amsterdam and Paris, Cutwork has 5 years of experience design in furniture and spatial concepts for coworking spaces, innovation hubs, private offices, and coliving spaces. Cutwork has been involved in the famous Station F project, the world biggest startup campus, based in Paris, France. Hi Kelsea. You design coworking spaces. Can you explain to us what is your approach and what do you start with when you are asked to design a flexible workspace? At its core, we aim to design workspaces that encourage the meeting of people and ideas. We begin every project by thinking about how we can use design to encourage collaboration, to cultivate strong communities, and to foster meaningful work. Mobility – the ability to change one’s surroundings and move between different types of space for different styles of work and collaboration. Versatility – the use of smart furniture designs that have multiple uses and functions. Flexibility – the ability to easily transform or rearrange a space for different uses. We start the design process with an open dialogue about where we can add the most value as design partners. For the most part, this includes developing spatial design concepts that will scale across multiple spaces, furnishing a space, and designing custom products. One of our biggest advantages is that our furniture design process is built on digital technologies that make it simple for us to modify any of our existing products to develop unique, custom solutions for our clients. While we use a lot of technology to make things super efficient on the manufacturing side, we’re pretty old school when it comes to the actual design – we like to sit together around a table with a big piece of paper and draw. This way we can really map out the challenges and limitations currently presented by the furniture and spatial design, and come up with the best solutions that fit the space and budget. It’s simple for space operators to survey big name spaces and think, this is what appeals to my market of millennial freelance workers! We see some recently designed coworking spaces looking the same. Are designers becoming lazy? Or do space operators lack inspiration when submitting their requirements and guidelines? More than becoming lazy or lacking inspiration, I think the market is just maturing. New spaces are easily lured into copying established models of success. It’s simple for space operators to survey big name spaces and think, “this is what appeals to my market of millennial freelance workers! If I can do that, my space will also be a success”. The problem with this is that everyone is asking the same question and coming up with the same solution. 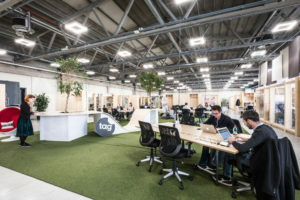 While this can make for a safer bet in the short term, the real risk in this strategy becomes evident when looking at the numbers: the coworking market is predicted to double in size over the next 4 years, from 14,000 spaces to over 30,000 spaces (Small Business Lab’s December 2017 Survey). This is insane market growth! For coworking spaces to succeed in the long term and survive this flood of competition, there’s a real need for original, distinct, and innovative design. We see a lot of recurrent gimmicks in workspace designs, Silicon Valley inspired kind of workspace, for instance… What do you think of it? These types of “gimmicks” and trends are typically playful, easy to understand, and straightforward to implement, which is why we see them turning up all over the place. While they can be effective when done well, I think the bigger conversation here is that coworking spaces should be wary of adopting these kinds of trends just for the sake of it. This risks missing a meaningful opportunity to use design as a means to encourage collaboration, help build strong communities, and make the space more valuable to its members. 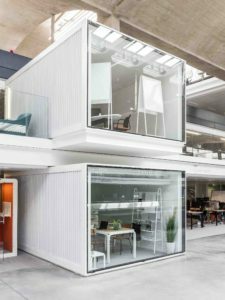 Do furniture providers do their job of supplying a wide enough variety of products or are we stuck with “prêt à porter” giving little room for design creativity in the workspace? 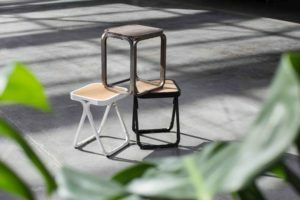 There aren’t many companies out there today that are designing furniture specifically for coworking and flexible workspaces. For now, most spaces are stuck making traditional office furniture work, or they end up designing their own because so few options exist in the marketplace. 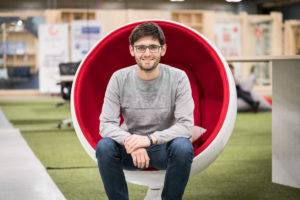 A coworking space is not a traditional office – so why are people still furnishing it like one The opportunity to design for these new usages is what’s most exciting to us. With our latest collection of furniture, we worked with our clients to map out the most common gestures and habits of the modern coworker, looking at all the tools and objects they carried with them and designing for their natural workflow; modular boards for writing or displaying sticky notes, hooks for headphones, shelves for screens of all sizes, and organizers for the daily tools. 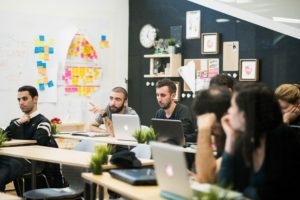 What’s really exciting about coworking spaces is that there is such a new story to tell – this fundamental shift in the way we work and where we do it. 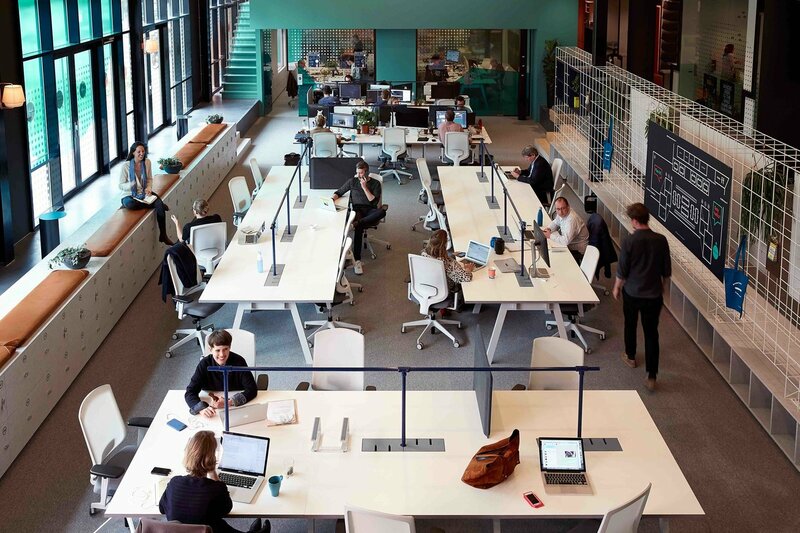 More broadly speaking, how does space design support the branding story of a coworking/flexible workspace? Do space providers understand that, nowadays? In a general way, spatial design is the physical representation of a brand. 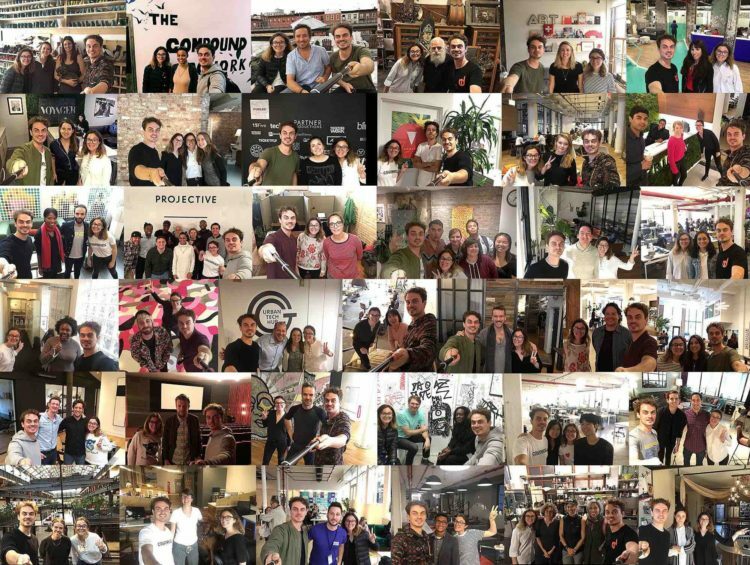 What’s really exciting about coworking spaces is that there is such a new story to tell – this fundamental shift in the way we work and where we do it. With this comes many opportunities to use architecture, interior design, and furniture as visual tools to help express a brand’s values in an immediate and impactful way. Aesthetics are really important because it sets the tone and qualifies the audience the space attracts, and that audience will eventually become the space’s community. I think space providers are definitely beginning to understand how valuable these tools are, especially as competition becomes more and more fierce. Spaces that haven’t designed a unique visual identity or built tight-knit, specialized communities will have a much harder time standing out and risk getting lost in the noise. 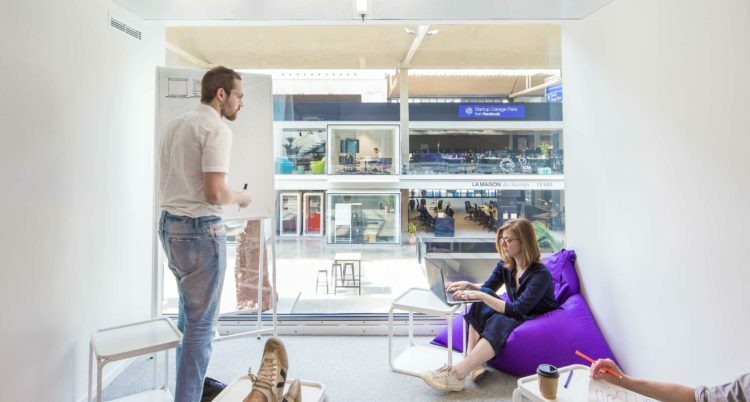 Can a corporate-focused, flexible serviced office develop inspiring and disrupting workspace environments, or are these things limited to startup and freelancer-focused coworking spaces? They can, and we are already beginning to see this transition take place. 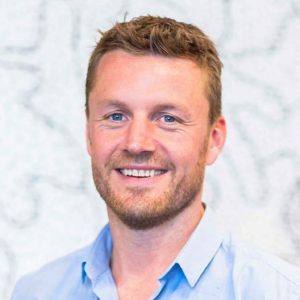 Most serviced offices are simply following the model that traditional corporate offices have established – a model which is definitely being challenged and influenced by startups and coworking spaces. 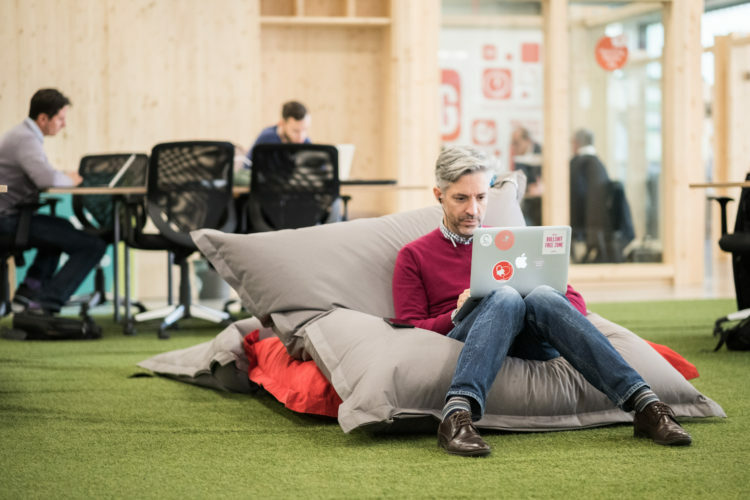 Corporations have already begun testing the waters by housing teams or departments within coworking spaces, dissolving the boundaries of the office culture and embracing startup working styles to accelerate innovation and growth. And it’s definitely catching on. Just last year, business employees became the largest demographic in global coworking spaces, surpassing freelancers. 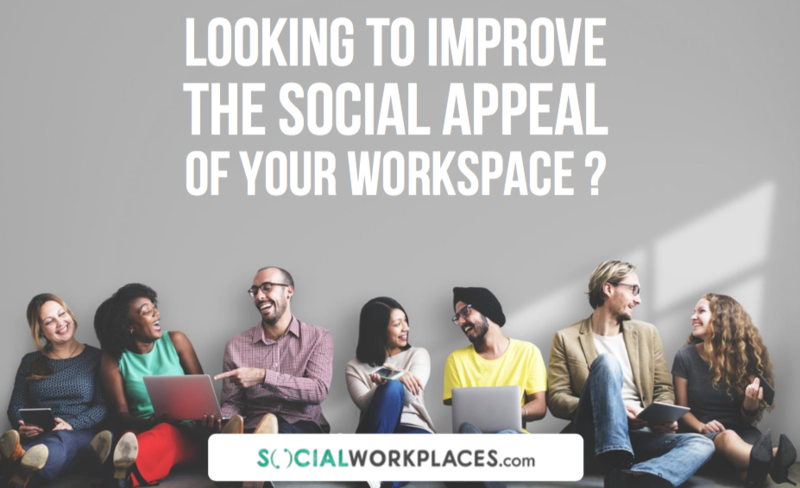 And the early signifiers are clear: the employees surveyed in coworking spaces are happier and more fulfilled in their roles, and these satellite departments are moving faster and are more productive than they had been in the traditional office environment. As traditional corporate offices continues to adopt these concepts and work styles, I think we’ll see a similar influence in serviced corporate offices. Spaces that haven’t designed a unique visual identity or built tight-knit, specialized communities will have a much harder time standing out and risk getting lost in the noise. What do you expect as being the upcoming trends in coworking space design, in the 12-24 months to come? 1. Specialization. As the market matures, we’ll see coworking spaces becoming more and more specialized to support specific communities. 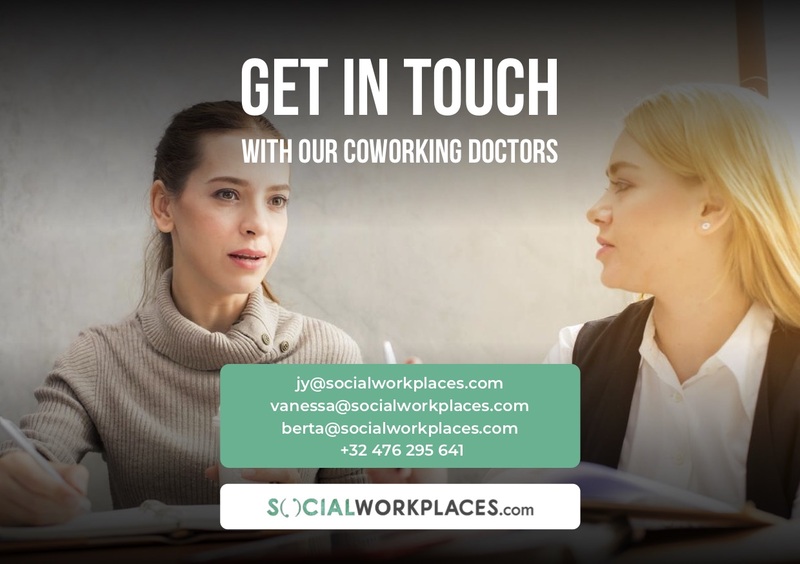 Coworking spaces for women, coworking spaces with daycare services, coworking spaces for app developers, etc. These niched communities will have unique needs and usages, and spatial design will evolve to meet them. 2. Investment in Design. To stay ahead of the competitive curve, coworking spaces are making serious investments in design to set themselves apart. Today, the average space dedicates around 40% of the total opening budget to furniture and spatial design. In the near future this figure will only increase, as many more companies are able to raise investment capital in the wake of WeWork’s success. Just last year, business employees became the largest demographic in global coworking spaces, surpassing freelancers. And the early signifiers are clear: the employees surveyed in coworking spaces are happier. 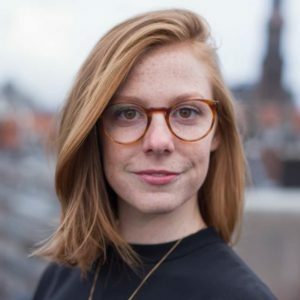 Kelsea Crawford will be a speaker at the upcoming Coworking Europe 2018 conference, in Amsterdam.